Here’s what you missed in Part 1: We sat down with Graham, our Western Regional Sales Manager to ask him everything about Cold Brew and how it compares to Iced Coffee. We had a ton of questions about storing Cold Brew, caffeine content and so much more — so here’s the rest of the interview with all the answers! Q: What’s the advantage of having a Cold Brew (or Iced Coffee) option on the menu? It’s like having smoothies and Italian sodas on your menu – they both have fruit and are cold but are completely different. The advantage is, cold brew is trending now, and some people aren’t drinking coffee for the acid. Offering cold brew coffee for customers to try is a good idea because they’ll often see it as a viable option to drink another coffee. Iced coffee’s execution is quick and easy to serve, it takes the same amount of time to make an Americano as it does an iced coffee. Q: Between Iced Coffee and Cold Brew, which is usually a less expensive drink to make? Iced coffee, but only by a few pennies per drink. Labour time is low, concentration is a little lower using heat to extract more out of the coffee. With both drinks most of the cup is ice — that’s an advantage — you can put in 4-5 oz of milk and run a couple ounces of espresso in there to fill. Cold Brew can demand a higher margin because it takes a longer time to make. It requires prep time, so even though the product cost is not that high, your labour costs are higher — so you need to sell it for a little higher. Q: Which is easier to make? Iced coffee, because there’s no special equipment, no advance prep time. If you’re making lattes, you can make iced coffee. Same amount of time, 20-30 second extraction, grinding, dosing, tamping, scoop ice in a cup. Q: How long can Cold Brew be stored in a fridge? Even in a fridge, it will break down at that temperature. Nothing stays fresh forever. I would say 3-5 days, then taste is going to change over time. Fresher is better. I would say if you haven’t sold your 2 gallons of cold brew coffee in 5 days you’re not promoting your product enough and need to switch brewing methods. Storage Temperature: After brewing, Cold Brew needs to be stored in a fridge at food-safe temperature because it is an organic product. Q: Can you freeze it? Would you recommend that? You absolutely can. Freezing it will change the components and the taste as well, and you’ll need to thaw it out and bring it up to the right temperature in the fridge. Again, if you do it in small batches you shouldn’t need to freeze it. Q: What about ice cubes, which method of cold coffee is recommended? When you’re using ice cubes in your drink to stop flavour dilution, use the product that you’re serving it in to keep the ratios right. Many people use a (hot) brewed coffee, they’ll make ice cubes out of that. But in a 12 oz take-out cup of cold brew you probably get about 8oz of product. If you can’t drink 8oz of cold brew on a hot day before your ice melts… then maybe it’s not the drink for you! Q: Mason Jars look cool, but what’s best to store my Cold Brew in? Mason jars are a great way to store cold brew! So long as it’s sealed and stops the oxygen transfer, you’ll be reducing the degradation of the product. Q: What’s the difference with caffeine content between a Cold Brew and Iced Coffee? 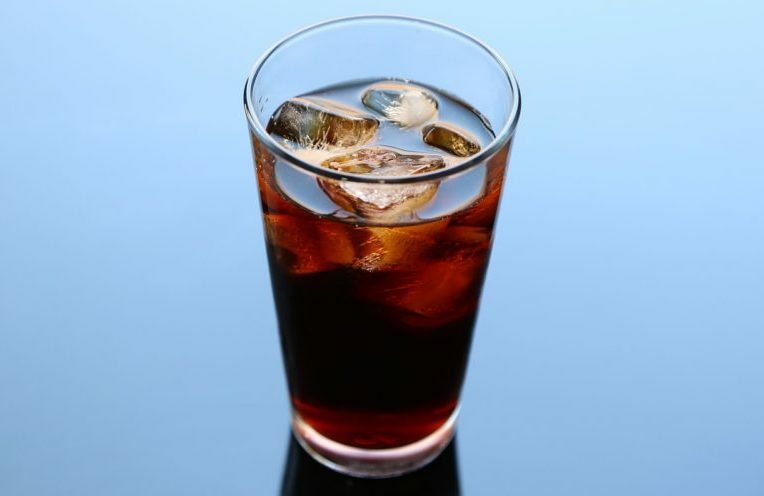 Cold Brew has more total dissolved solids, which have caffeine — and because you’re using more coffee, you’ll get more caffeine. Iced coffee and drip coffee will always depend on your extraction rate. Q: What tasting notes can be highlighted best in a Cold Brewed coffee? It will have less fatty acids, and less of the bitter alkaloids. So Cold Brew will be smoother, but full bodied because you’re still getting the flavours, oils, and sugars that will dissolve very well. Q: Do you have an example of an origin for Cold Brew coffee you’d recommend to try? It’s very subjective; I’ve had people say they love Costa Rican coffees that made a good cold brew. It’s a matter of taste. Q: What about roast level, have you ever had a light-roast Cold Brew? Yes, the other day we did three different cold brew drinks with three different coffees, and they were so different — it was dramatic. Then we did it with the same three coffees but a different grind, and it was so different again. In the end, the one we picked as our favourite was a light roasted coffee. Q: Can you re-heat cold brew for use in hot drinks? With Cold Brew coffee, you can serve it as a base in a hot drink. If you add boiling water to it, you’re going to have a hot cup of coffee with far less acid in it. It won’t extract any more acid out of it. I would recommend adding hot water to it, never heating up the concentrate. Then you’re re-caramelizing the solids, so you’re affecting the components that are in it. So don’t microwave it… My brother in law microwaves his coffee every morning –and it changes the taste – he likes it haha! You’re actually re-cooking the coffee if you microwave it, it won’t taste the same. From this interview, one thing is clear – Cold Brew is here to stay! If you have any more questions about Cold Brew or Iced Coffee and how we can build a program to work for your business, give one of our awesome representatives a call at 1-888-273-8684. Talk soon!